This research group seeks to nurture research in the many elements of the creation and understanding of improvisation. This includes investigation into environments conducive to improvisation, composition, innovation, experimentation, collaboration, the ephemeral moment of improvisation and identity. The group also explores the myriad of improvisational factors that create affordance and agency in an open-ended musical context. The Research Network will further develop this burgeoning area of study though collaborative, interdisciplinary and international engagement. What happens when we improvise? Expertise within the network ranges from historical/cultural studies of jazz to empirical work on improvisation to artistic research conducted through jazz compositional and improvisational practices. So What? is a timely invitation to explore the impact of jazz and improvisation research on artists and communities of practice and the way we put jazz and improvisation knowledge to work in a variety of different fields and settings. Gravity: A Collaboration between Australian and Japanese MusiciansThe Gravity Project aims to create and disseminate a transcultural musical dialogue through a carefully structured collaboration involving Australian and Japanese improvising musicians in both a traditional and modern context. 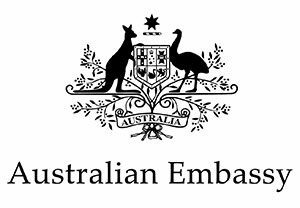 This project has financial and administrative support from the Australian Embassy Japan and Monash University, a DFAT cultural grant and the Australia Council for the Arts; it forms an integral part of DFAT’s Focus Country Program for 2018. The performances and recordings celebrate the collaborative nature of music and showcase Japanese master musicians, alongside some of Australia’s finest contemporary improvisers.